Building off their earlier Linux 5.2 feature work are more updates. That earlier round brought new SMU11 enablement code for Vega 20, various other Vega 20 features, HMM preparations, and other code changes. The round 2 of X.Org Foundation's annual election is now open and will remain open until 23:59 UTC on 2 May 2019. Four of the eight director seats are open during this election, with the four nominees receiving the highest vote totals serving as directors for two year terms. The new bylaw changes were approved in the first round of voting. If you do not remember your password, you can click on the "lost password" button and enter your user name. An e-mail will be sent to you with your password. If you have problems with the membership system, please e-mail membership at x.org. When you login you will see an "Active Ballots" section with the "X.Org 2019 Elections Round 2" ballot. When you click on that you will be presented with a page describing the ballot. At the bottom you will find a number of dropdowns that let you rank your candidates by order of preference. For the election: There is a pull-down selection box for 1st choice, 2nd, choice, and so on. Pick your candidates top to bottom in order of preference, avoiding duplicates. After you have completed your ballot, click the "Cast vote" button. Note that once you click this button, your votes will be cast and you will not be able to make further changes, so please make sure you are satisfied with your votes before clicking the "Cast vote" button. After you click the "Vote" button, the system will verify that you have completed a valid ballot. If your ballot is invalid (e.g., you duplicated a selection or did not answer the By-laws approval question), it will return you to the previous voting page. If your ballot is valid, your votes will be recorded and the system will show you a notice that your votes were cast. Note that the election will close at 23:59 UTC on 2 May 2019. At that time, the election committee will count the votes and present the results to the current board for validation. After the current board validates the results, the election committee will present the results to the Members. At least with the initial round of voting they reached a super majority and the ballot question of whether the X.Org Foundation should formally fold FreeDesktop.org into its umbrella worked and that X.Org + FreeDesktop.org hook-up passed so all is well on that front. But for the Board of Directors elections, that's where re-voting is needed with the voting software that now correctly records the votes. On the RADV front, this morning brought VK_EXT_inline_uniform_block support. This is the Vulkan extension to let uniform blocks be backed directly with descriptor sets. VIRTIO 1.1 brings a GPU device type at this stage providing 2D acceleration that pairs with the VirGL efforts. On the dual Xeon Platinum 8280 server built on a Gigabyte Xeon Scalable barebones setup while running Ubuntu 18.04 LTS, I did some quick tests of this initial MKL-DNN profile while using the current GCC 9.0.1 compiler. The GCC9 compiler will debut as stable in the next few weeks in the form of "GCC 9.1" as the first stable release and with this annual GNU compiler update is the initial "cascadelake" target that includes enabling AVX-512 VNNI support over the existing "skylake-avx512" target that is used for 1st Gen Xeon Scalable CPUs. I ran MKL-DNN benchmarks both when built by GCC9's skylake-avx512 target and then again with cascadelake while "-O3" was also part of the CFLAGS/CXXFLAGS. Using a Radeon RX Vega 64 graphics card with the stock Ubuntu 19.04 components were used for this desktop graphics/gaming benchmark comparison. Ubuntu 19.04 ships with the Linux 5.0 kernel, Mesa 19.0.2, and X.Org Server 1.20.4 as the most prominent components for this comparison. GNOME Shell 3.32.0, Xfce 4.12, MATE 1.20.4, KDE Plasma 5.15.4, Budgie, LXQt 0.14.1, and Openbox 3.6.1 are the prominent desktop versions to report. KDE Plasma with Wayland wasn't tested since on this system I wasn't able to successfully start the session when selecting the Wayland version of Plasma from the log-in manager. The Radeon RX Vega 64 graphics card was running from the common Core i9 9900K used by many of our graphics tests with the ASUS PRIME Z390-A motherboard, 16GB of RAM, Samsung 970 EVO 256GB NVMe SSD, and a 4K display. 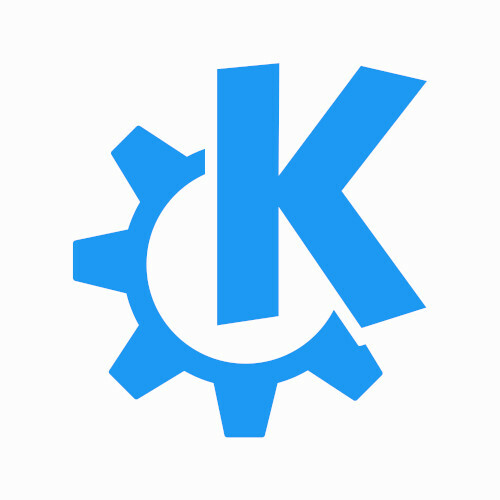 Already for this next kernel in previous pull requests they staged the Elkhart Lake graphics support, promoted Gen11 / Icelake out of being experimental graphics along with other Gen11 graphics fixes, and a variety of other fixes and low-level improvements. This Steam client update is notable for Linux users in that Steam Play configuration settings are now exposed in Big Picture Mode, the important fix for 0-byte downloads / missing data files for Steam Play titles, Steam Overlay issues, automatic update issues with these titles relying upon Proton, and other Steam Play bugs. There hasn't been much to report on GLAMOR's development in recent months with it generally working out well already on X.Org Server 1.20, at least for desktop systems with modern OpenGL drivers. Eric Anholt of Broadcom on Wednesday landed the latest GLAMOR code into X.Org Server Git. Iris driver lead developer Kenneth Graunke of Intel's Open-Source Technology Center landed a change in Mesa 19.1 today to really help out the performance in at least Valve's Portal game. In our benchmarks yesterday, Iris was coming in at 52 FPS to i965's 69 FPS and Windows 10 at 75 FPS. With the quick change in Mesa Git today, Ken finds on at least his system to get 1.8x better Portal performance where Iris equates to being 3.86% faster than the i965 driver. Since last writing about CLVK, it's picked up support for Talvos as a Vulkan emulator/interpreter for handling SPIR-V modules on the CPU and thus allowing CLVK to operate without a Vulkan-enabled GPU. As explained last week, RADV's FreeSync support has been held up by lacking a configuration system to selectively enable the functionality when not dealing with any compositor, multimedia program, or other applications where this variable rate refresh technology could intefere and to only enable FreeSync/Adaptive-Sync for full-screen games. That's been the blocker while a patch has been available for flipping on VRR for RADV. Vulkan 1.1.107 contains the usual work on different documentation clarifications/corrections while a new extension is VK_EXT_headless_surface, which was contributed by Arm. The release schedule calls for the feature freeze and initial release candidate to happen on 30 April. Following that will be weekly release candidates until the final release is ready. The hope is Mesa 19.1.0 can ship on 21 May, but as we've seen very frequently out of recent release cycles, there is often times release delays of days if not weeks. But long story short, Mesa 19.1.0 should be released around late May or early June. 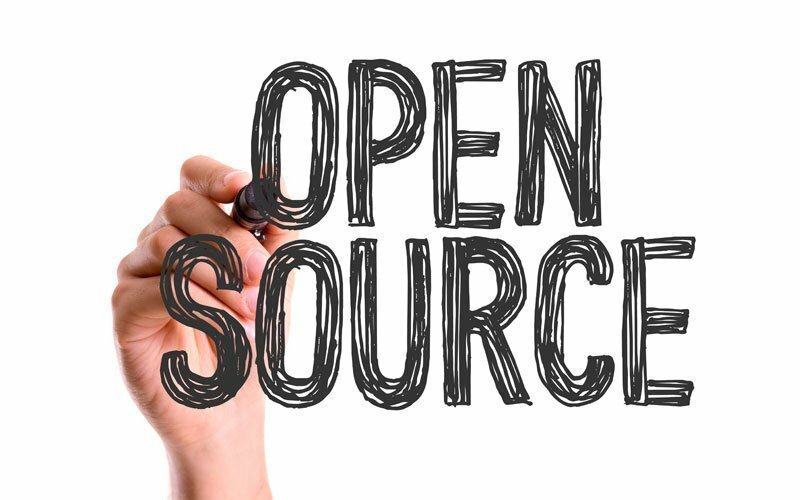 The Iris Gallium3D driver is picking up more wins than in our previous rounds of testing for this experimental open-source OpenGL driver. Additionally, in cases where i965 is still delivering better performance is at least closer between these two Mesa drivers than we've seen in the past. So overall the performance is looking up for Iris but there is still more performance optimizations and maturing needed before we'll see Intel switch over the Linux OpenGL driver default. Nevertheless, it should be interesting to see how Iris matures this year as well as their ANV Vulkan driver. Stay tuned for more benchmarks when further Mesa Git commits warrant some additional tests. The proposed GL_MESA_debug_operations extension is about making it easier to insert arbitrary commands into existing shaders to better understand these operations in different combinations. This extension is designed to help reverse engineering activities like Nouveau as they try to understand NVIDIA's hardware behavior but could have use-cases by other reverse-engineered OpenGL drivers like Freedreno, Panfrost / Lima, Etnaviv, and others. It's also possible this could be used as a sorts of testing/fuzzing different shader operations/behavior. At the end of last year it was shared that NVIDIA was developing an EGLStreams back-end for KWin, similar to the efforts in getting EGLStreams support into GNOME's Mutter compositor. By late January is when the proof-of-concept code for KWin with EGLStreams entered review. Following months of review, the back-end has been merged into KWin Git. Broadcom's next-gen "V3D" driver (formerly known as VC5) being used by some newer Broadcom hardware but more coming down the pipeline in the future has nearly working compute shader support. We hope the next-gen Raspberry Pi will end up using a Broadcom SoC supporting V3D as besides much better OpenGL capabilities and performance, one of the advantages of V3D -- once the driver stack is in shape -- is compute support -- including ultimately OpenCL and Vulkan, but again more work needs to be done on the software side before that will be realized.